Fall brings leaves changing colors, the temperatures getting a little bit crisper and the Halloween holiday; which happens to be one of my favorite holidays. For me Halloween is a chance to get dressed up and be someone else for the day. It is a chance to be a kid again no matter how old you are. My love for the holiday and getting dressed up is what prompted me to throw some elaborate Halloween costume parties. Having a homemade coffin and tombstones in my garage for the Halloween party was a normal thing to me. My Halloween parties started out with a small group of friends in my garage. We always did a potluck and everyone brought a different dish. All I had to worry about was the decorations and the games. None of us had children at the time; so we would count on that Halloween party to have some fun and not have to do the bar scene. The annual Halloween party became so popular that the invitation list got bigger and bigger. One year, I had over 150 people come through my house in one night. It was after that party that I decided to host the party at a venue instead of my own home. The party planning got so big that other people had to join in to help host the party. When my kids got old enough, the Halloween party went back to being in my house and mainly for the kids. I still got dressed up for those parties. I have taken my knowledge of all the Halloween parties that I have planned and hosted and put that information into the Halloween Planner in hopes that it will help make your party planning easier. 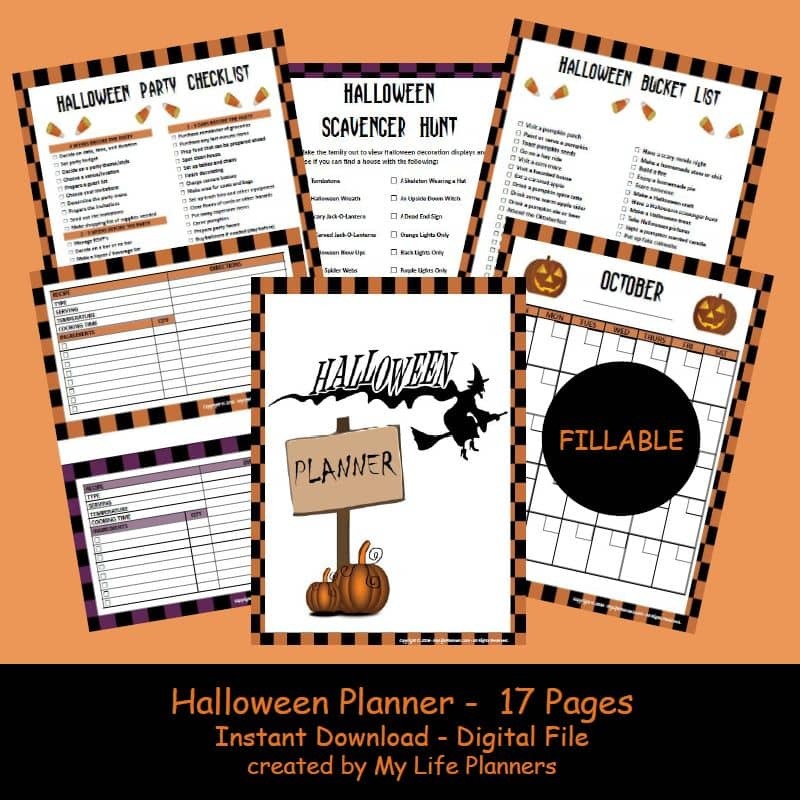 Whether you plan a Halloween party or not the planner can help get you ready for the holiday. Have a safe and happy Halloween.